As part of GCN’s takeover of the Science Gallery on November 9, a photographic exhibition by Babs Daly will have its grand unveiling. 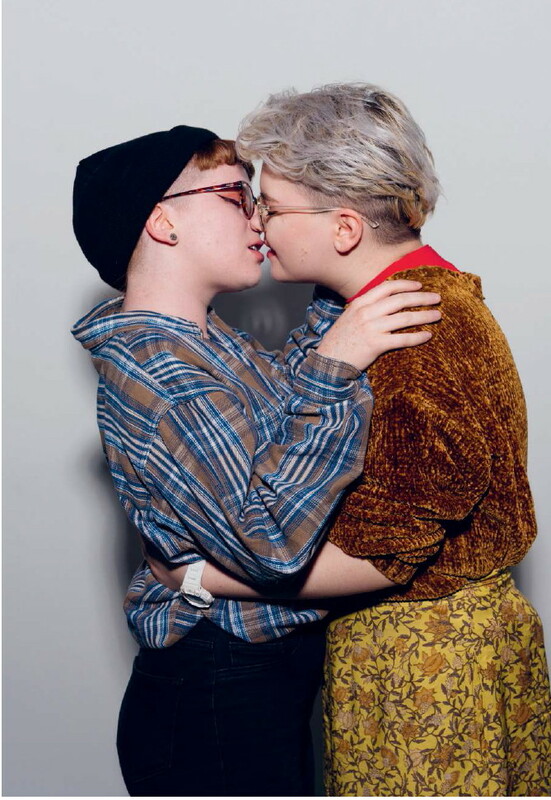 Titled Science Of The Kiss, it features four couples from across the spectrum of our community. Here’s a sneak peek of what to expect. Intimacy is complicated. It takes a lot of f uidity and f exibility to be truly comfortable with someone. When we think of intimacy we associate it with vulnerability, excitement, and, for some people, fear. However this fear is not something to be worried about. For LGBTI+ people in our community this fear is almost unavoidable.